To view our list of past scholarship recipients, please visit Our Past Scholars page. 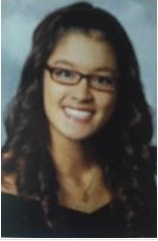 Jenny distinguished herself academically at Philadelphia High School for Girls maintaining high grades while enrolled in Honors and Advanced Placement courses. As a high-achieving student, she was listed on the Honor Roll, participated in the Bailey Williams Honors Program, the Philadelphia Sponsor-a-Scholar Program and was a White-Williams Scholar. Jenny considers her community service activities as educational, life-altering and making a difference in the lives of others. She has been involved with the Eco Club and the Red Cross Club, but tutoring at her elementary school, Holy Redeemer, holds a special place in her heart. In addition, she volunteers at the Senior Saturday Lunch there. As the first in her family to attend college, her passion for helping others will continue in the fall when she begins her nursing studies at Drexel University. 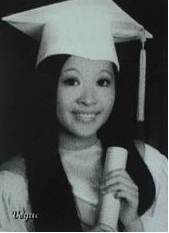 Our 2014 PECO Scholar, Mei Ling Rong, is a graduate of Central High School. This well-rounded student was a member of the badminton team, a member of the Math Club and plays both the violin and piano. She was selected to the All City Middle School Orchestra and was also a participant in the Central High School Orchestra. 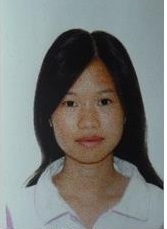 Mei Ling was able to maintain exceptional grades, work part-time and dedicate her free time in helping her community. 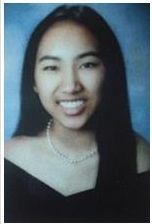 She participated in numerous activities including Student Conservation of Association for park recreation, HIV Walk, Aids Walk, Moon Festival, and volunteered as a Student Aide at her school office. Mei Ling tutors middle and grade school students with their homework at the Free Library of Philadelphia. Using her bilingual skills, she often translates for new immigrants at her school and neighborhood. Her community service experiences have inspired her to pursue in a career that help people who are in need. She will be attending University of the Sciences as a pharmacy major. Amy’s involvement in her school (The Preparatory Charter High School of Mathematics, Science, Technology and Careers) and community has helped her build a strong foundation of understanding the importance of giving back. Besides serving on Prep Charter’s student council as a class representative, Amy was also a member of Girls Learn International, where she promoted women’s education and raised awareness of human trafficking and discriminatory practices. Additionally, she has been a Student Ambassador at Pennsylvania Hospital since her sophomore year in high school and plans to continue. Given the invaluable opportunity to observe surgeries and assist with patient care, Amy hopes to serve as a model of the positive results that can come from helping others. Graduating in the top 10% of her class, she looks forward to attending University of the Sciences and a career as a physician assistant.